A conveyance of land or of any other estate or interest therein may be made by deed, executed by any person who has the authority to convey the same, or by that person's agent or attorney (58-2205). All persons owning lands in Kansas that are not held by an adverse possession are deemed to be seized and possessed of the property (58-2201). The Kansas Revised Statutes provide a warranty deed and quitclaim deed form, both of which are customary forms of conveyance in this state. The statutory forms can be revised according to the specific circumstances of a transaction. Real estate or interest in real estate in Kansas can be conveyed by anyone who is seized and possessed of such property. Those who may enter into a conveyance include individuals, corporations, aliens, and those claiming jointly. Any person claiming title to real estate may sell and convey his or her interest therein; notwithstanding there may be an adverse possession thereof. This will be in the same manner and with like effect as if he or she was in the actual possession thereof (58-2208). The rights of aliens in reference to the purchase, enjoyment, or descent of real property in Kansas may be regulated by state law. The devise of real estate to any foreign country or corporation except for devises to institutions for religious, educational, or charitable purposes is void and prohibited (59-602). The method of conveyance in this state is determined by the type of ownership the grantor (or grantors) enjoys. 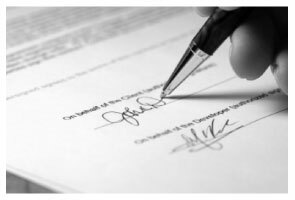 A real estate deed must be signed and acknowledged by the grantor, and recorded as directed (58-2205). All conveyances and any other instruments affecting real estate in Kansas must be acknowledged before a person authorized by the uniform law on notarial acts to perform notarial acts. If acknowledged in the state of Kansas, it may be done by a county clerk, register of deeds, or mayor or clerk of an incorporated city (58-2211). If an instrument is acknowledged in another state according to the laws of the other state, it will be valid as if executed in Kansas (58-2228). Upon recording an instrument, the grantor must furnish the register of deeds with the last known post office address of the grantee (58-2221). Additionally, a completed Kansas Real Estate Validation Questionnaire must accompany documents submitted for recording. Some counties accept the one-part form while other counties use a longer form. If the Validation Questionnaire is not required due to an exemption, the exemption should be clearly stated on the document being filed with the register of deeds. Every instrument that conveys real estate; any estate or interest created by an oil or gas lease; an estate or interest created by any lease or easement involving wind resources and technologies to produce and generate electricity; or whereby any real estate may be affected, proved or acknowledged, and certified in the manner prescribed by statute, may be recorded in the office of the register of deeds in the county where the property is located. It is the duty of the register of deeds to file the instrument for record immediately. (58-2221). Every instrument in writing that is certified and recorded in the manner prescribed by statute will, from the time of filing with the register of deeds, impart notice to all persons of the content thereof; and all subsequent purchasers and mortgagers shall be deemed to purchase with notice (58-2222). If an instrument is not recorded, it will only be valid between the parties to it, and such as have actual notice thereof, until it is deposited for record (58-2223).